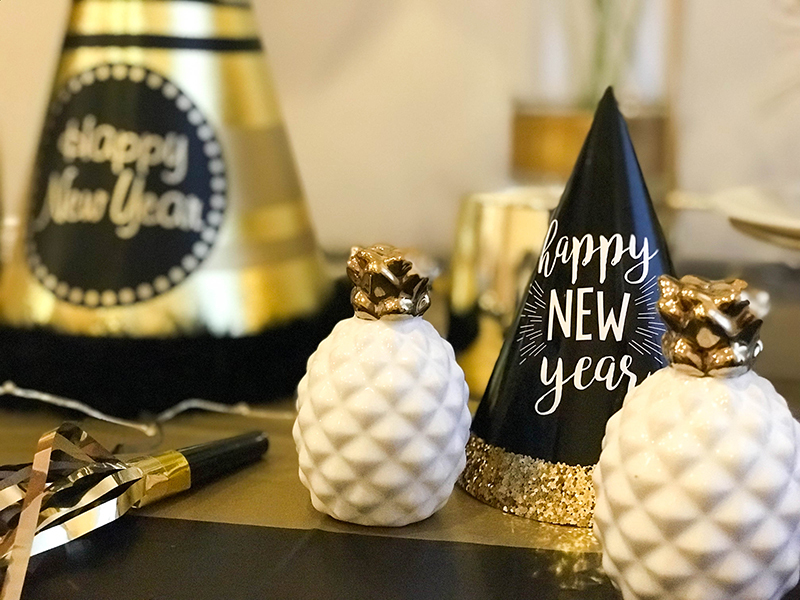 After a long couple of months of party hosting, you may be ready to throw in the towel by New Year’s, but putting together an elegant soiree doesn’t have to be painful! I’ve got some great New Year’s Eve house party ideas for you. In fact, this is one of those holidays where people just want a party to go to on this special night, and they aren’t so caught up in traditional foods being served. 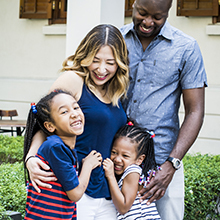 As a parent, it can be even more challenging to get away, so why not throw a festive fête yourself? 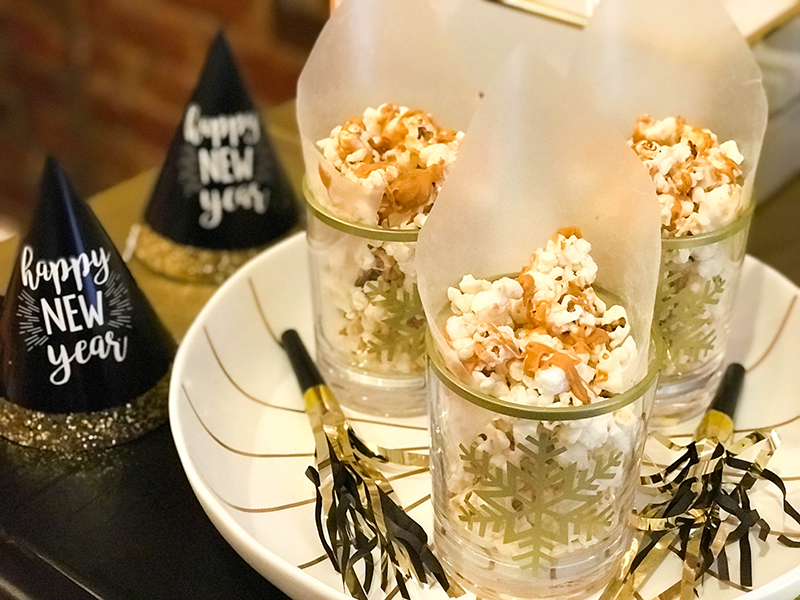 Here are a few easy New Year’s Eve house party ideas you can use to ring in the new year in style. No need to custom order invitations! Make yours unlike anyone else’s! 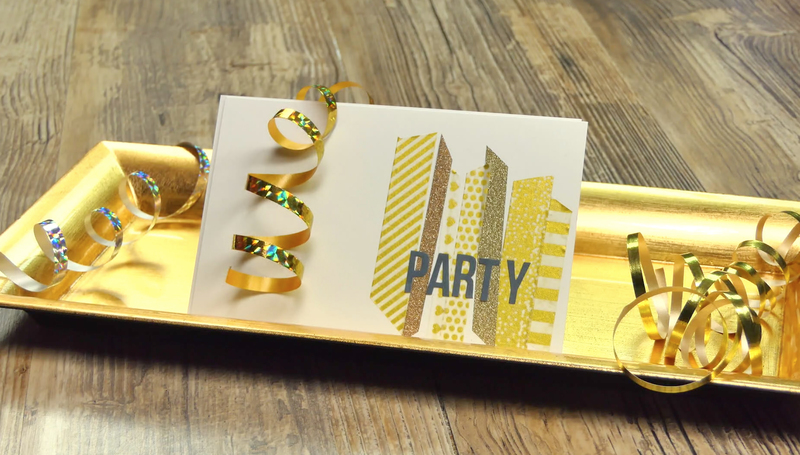 You can easily make your own gold washi tape party invitations that are both fun and pretty! You’ll need gold washi tape in various designs and patterns; stick-on letters; heavy, blank 4X6 index cards; scissors and a ruler. Start by layering strips of washi tape side by side, in any pattern you like. Then, spell out “party” (or any other word of your choosing) by applying the stick-on letters on top of the washi tape. Use a ruler to make sure the words come out straight. Make a quick party invitation card with washi tape! Here's how to do it. Keep it simple with a classic gold, black and white color scheme. You’ll have no trouble finding decorations in these colors. For example, I’ll be using this simple, black and gold tablecloth. And since there’s no easier way to spell “party” than with balloons, I’ll be using black and gold ones in my décor. Think twice about using confetti, however. 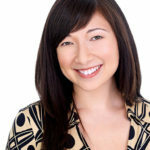 It’s a messy and unnecessary addition that you might end up cleaning up well into the New Year. (Not to mention it’s not a safe idea if there will be really little ones present.) 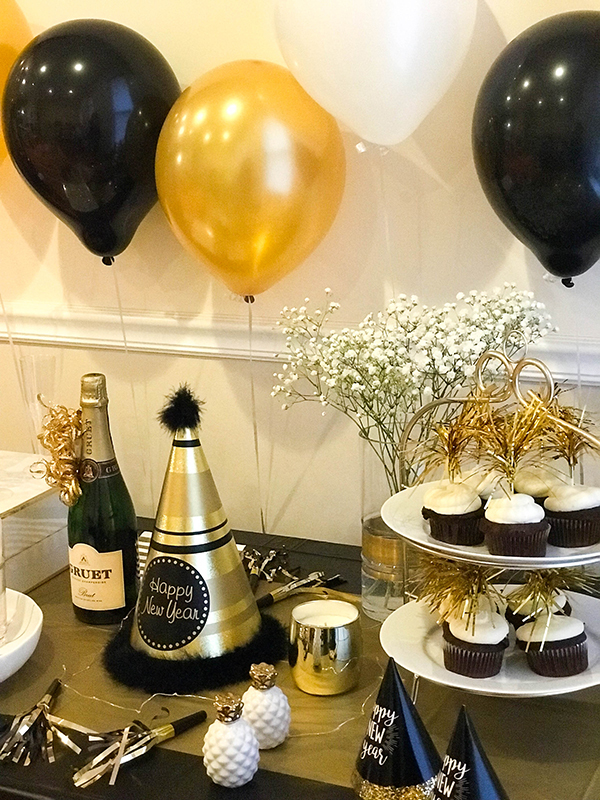 Be sure to provide your guests with black, gold and white party hats. Selfies will be taken! 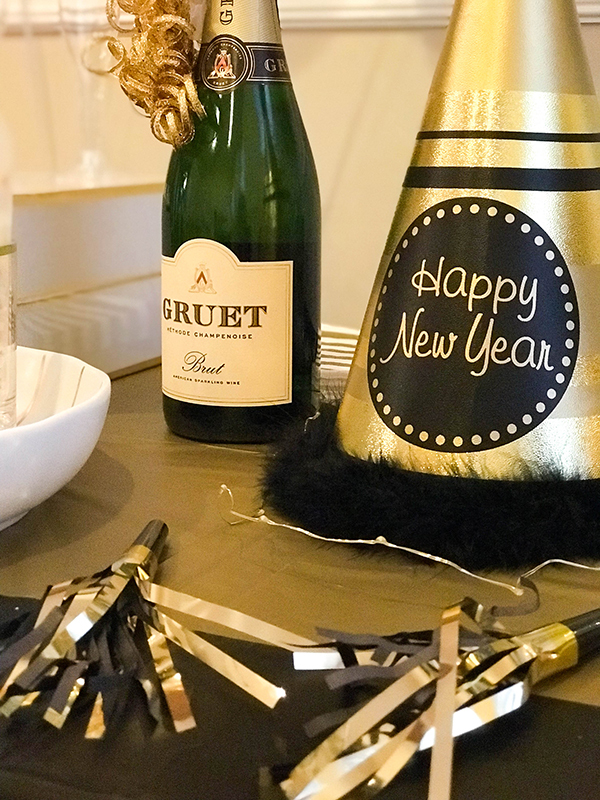 Use these New Year’s Eve house party ideas to take it a step further: Hang a tablecloth against a wall and provide gold, black and white props for guests to use at a makeshift photo booth. Create a signature hashtag for your guests to use when posting their pictures on social media so everyone can easily find them. You can certainly provide more alcohol at a “self-service station” if you’d like, but choose a single, signature cocktail to whip up for your guests so you won’t have to play bartender all night. Cranberry Champagne Cocktails are beautiful, festive, and memorable! They’re really easy to make, too. You’ll need champagne, cranberry juice, limes, and fresh cranberries. 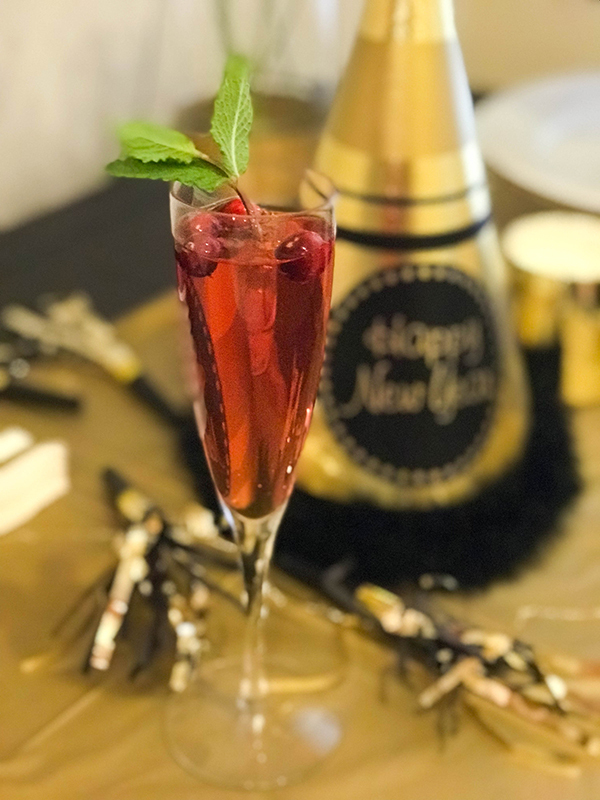 Pour 8 oz of cranberry juice, a squeeze of lime juice and champagne into a champagne flute. Garnish it with a few cranberries and a mint sprig. Remember these New Year’s Eve house party ideas to keep everyone safe: Make sure you know how each guests plans to get home afterward. Be it a designated driver, Lyft, public transit, or crashing on your couch, everyone should have a plan so they can have fun and avoid becoming a statistic. Head to your favorite bakery (even if it’s inside of a grocery store) and purchase already-made cupcakes. I’ll be getting vanilla to go with the color scheme of my party. 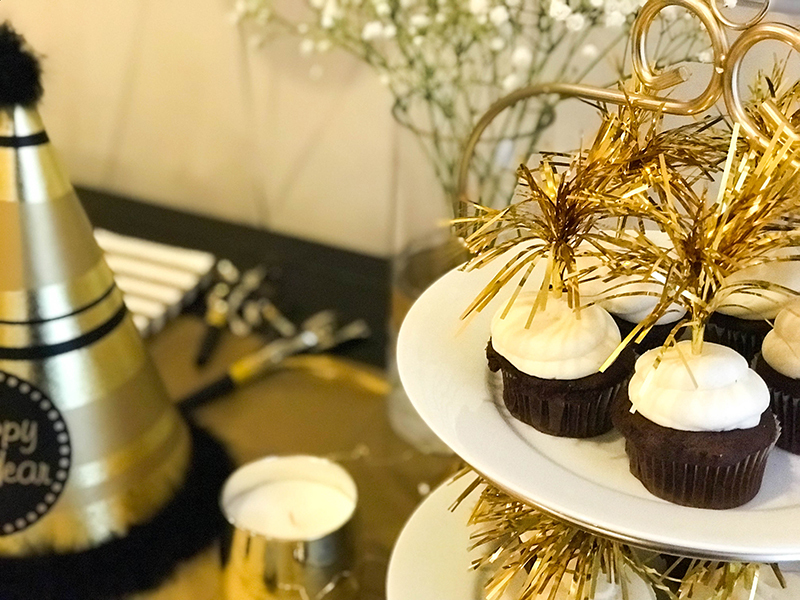 Pick up some gold sprinkles and sparkly cupcake toppers to decorate them with. (You’ll find a wide variety of both of these at party supply stores.) Serve them on a crystal or golden tray. Purchase any plain popcorn you like and butterscotch morsels. Carefully melt the butterscotch using a double boiler or in the microwave, stirring frequently. Pour the slightly cooled melted butterscotch into a piping bag. If you don’t have one, take a Ziploc bag and cut a very small tip off the corner. Drizzle the popcorn with melted goodness and allow it to set at room temperature for about 15 minutes. Serve in glasses lined with wax paper. 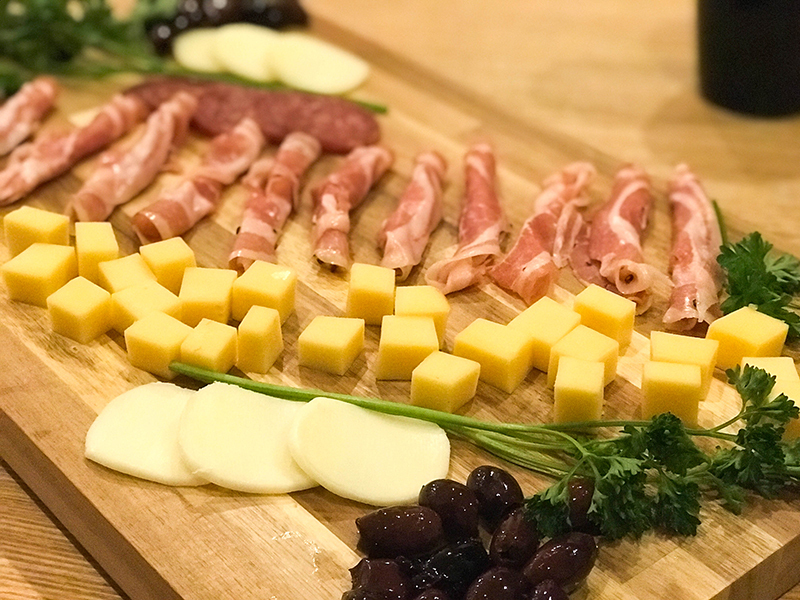 One of the easiest New Year’s Eve house party ideas when it comes to food is to pick up a platter of meats and cheeses from the deli. Bonus points for serving it on an elegant wooden charcuterie board like this one. You don’t want your guests drinking on an empty stomach, but you also don’t need to provide a full meal, especially since it will probably be later in the evening. Up the elegant quotient by hiring a babysitter to entertain the kids in a separate room for the evening. 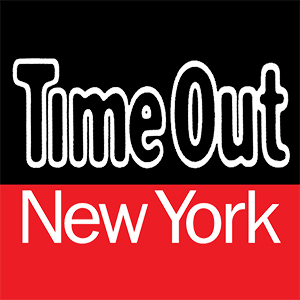 Order pizza or make cookies just for the younger crowd. 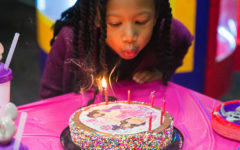 Provide games, movies, and their own party hats and decorations. Hire more than one, if there are a lot of kids. 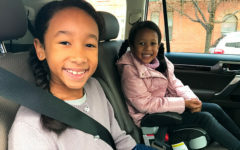 You can even hire a sitter if the kids are welcome to mingle at the party, just so that the parents don’t have to worry about entertaining them or tending to them at all for the evening. Now that’s an indulgence! 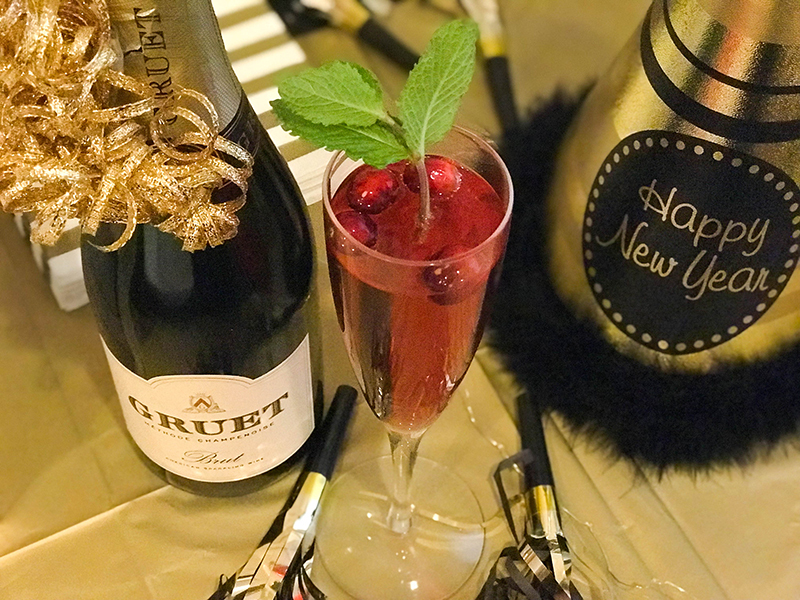 Send your guests into the New Year with sparkling good fortune. 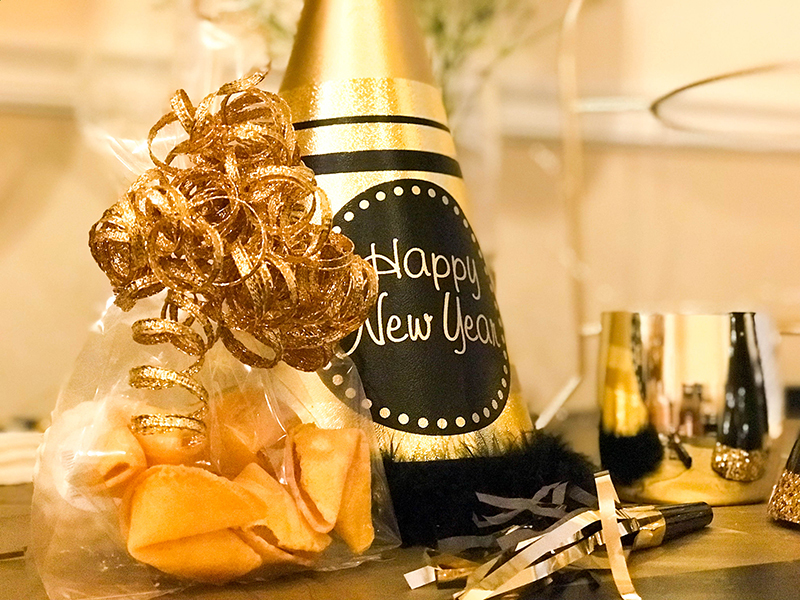 Package four or five fortune cookies in clear cello bags tied with gold ribbon or put them into an adorable Chinese food takeout container! If you want to get even fancier, make gold glitter fortune cookies instead! 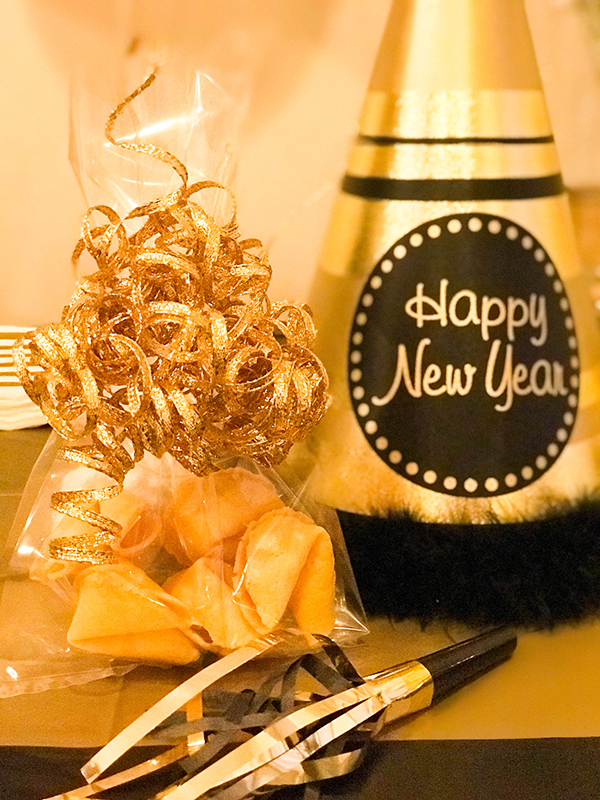 Buy pre-made fortune cookies, white Wilton Candy Melts, and edible gold glitter. 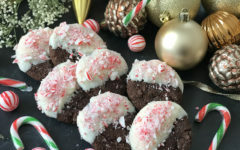 Melt the candy as directed on the package, dip the cookies, lay them on parchment paper and sprinkle them with the glitter. You can also spray the fortune cookies with an edible gold spray like this one from Wilton. 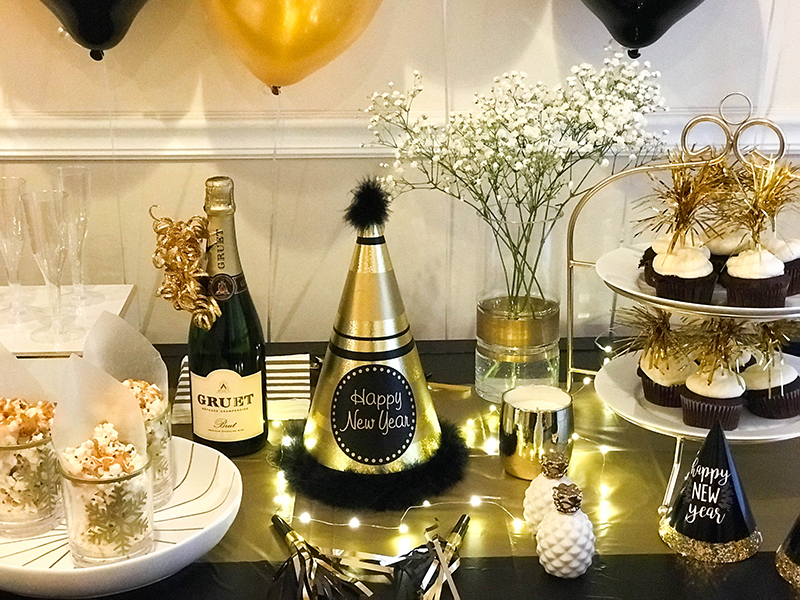 With these New Year’s Eve house party ideas, you’ll be able to throw an elegant but easy get together that everyone will enjoy. Make your own invitations, set the tone with simple décor, serve a signature cocktail, put a personal spin on store-bought food, provide childcare, and send everyone home with festive party favors. The only planning left to do is deciding what to wear… Let the countdown begin!